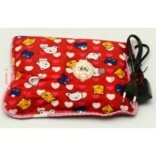 Electric HEATING water Pad ( Heat Pad) Rechargeable Hot Water Bottle Bag. Heat and cold are the two most familiar types of non insidious and no addictive pain-relief treatment for muscle and joint pain. Which one you require depends on whether the pain is new or chronic. In simple terms, a new injury will cause irritation and possibly swelling. Ice will reduce the blood flow to the injury, thereby decreasing tenderness and puffiness. Pain that happen again can be treated with heat, which will bring blood to the area and support healing. Hot or cold therapy should not be used on people who have circulatory problems, who are insensible, who cannot sense or respond to cold (e.g. in paralysis) or who are allergic to cold (some people develop skin reactions). Heat opens up blood vessels, which enhances blood flow and supplies oxygen and nutrients to ease pain in joints and relax sore muscles, tendons and ligaments. The warmth also reduces muscle spasms and can enhance range of motion. Applying external heat to your body can improve the flexibility of ligaments and tendons, reduce muscle spasms, and lessen pain. Sources of heat can supply either dry or moist warmness. Dry heat sources may dry the skin and moist heat may infiltrate better. 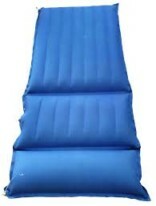 Heat can be applied by an electric or microwavable heating pad, gel packs, hot water bottle or hot water baths. Ensure the heat to be warm, not too hot and should be maintained at a steady temperature, if possible. 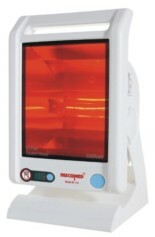 Ask your doctor or physical therapist which heat source would be best for you. Don’t apply heat for longer than 15-20 minutes, unless your doctor or physical therapist suggests. Cold Treatment slows down blood flow to an injury, thus lessens pain and swelling. 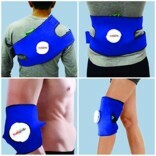 Cold therapy slows blood circulation, muscle spasm, reducing inflammation and pain. It should be used if the area is inflamed or bruised. Cold is applied by an ice or gel pack. Any cold treatment should be used for 24 to 48 hours after an injury or wound. Cold therapy is good for sprains, bumps, strains and bruises that may occur in sports or lifting. Apply cold packs or ice bags to wounded areas for no more than 20 minutes at a time, remove the cold for 10 minutes and reapply it again. Don’t apply it for longer than 15-20 minutes. Also, wrap ice or ice packs in a thin towel before applying. If in doubt as to whether to apply heat or cold to an injury, call your doctor for clearing the confusion. 1. Equinox Hot & Cold Soft Relief EQ-SR 11:- The Equinox Hot/Cold Pack is multifunctional and it is a must have in every home. The gel pack heats in just a minute if wrapped up in a towel and engrossed in hot boiling water. Likewise, it needs about 2 hours in the freezer for cold therapy and can be very helpful for sportsmen and those who go to the gym frequently. 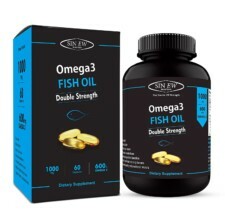 The pack can also be efficiently used to bring relief from tired eyes, headaches and toothache. 2. Bremed Hot / Cold pack – Reusable BD 6500:- A multipurpose mold-able gel pack that can be used as a therapeutic cold pack or hot pack where the dealing area is small. Relieves the pain from the exaggerated area with its heat/cooling effect. 3. 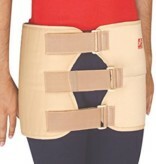 Equinox Hot & Cold Soft Relief (Head) EQ-SR 33:- This Versatile therapy system uses an extra stretch fabric that makes it relaxed for wear even for a few hours together. It can be fitted as per personal choice and has full flexibility, while the well-designed band has layered insulation skill. It is prepared from breathable fabric that can be washed and reused with easiness, and the contoured gel pack presented with it can be used as per fondness for Hot and Cold treatment. Heat enhances blood flow and relaxes muscles that are why heat therapy is exceptional for easing tense muscles. Using cold therapy to care for injuries is one of the oldest methods of pain management. Cold therapy is a simple self care method that is confirmed to be safe and effectual at reducing puffiness, alleviating pain and lessening muscle spasms. Often people who use cold treatment require much less pain relief medicine. Always check with your physician in the event of a severe injury or whenever using cold or hot therapy for a medical condition.